*Martan Mann has performed extensively in clubs and concerts throughout Northern California and Hawaii. Performed as jazz pianist for 25 years at The Garden City in San Jose. Performances include performing duos with George Young and Dmitri Matheny; with Martan Mann & Mannkind (contemporary jazz band); The Martan Mann Trio; and The Jazzical 6 (Dixieland Band). 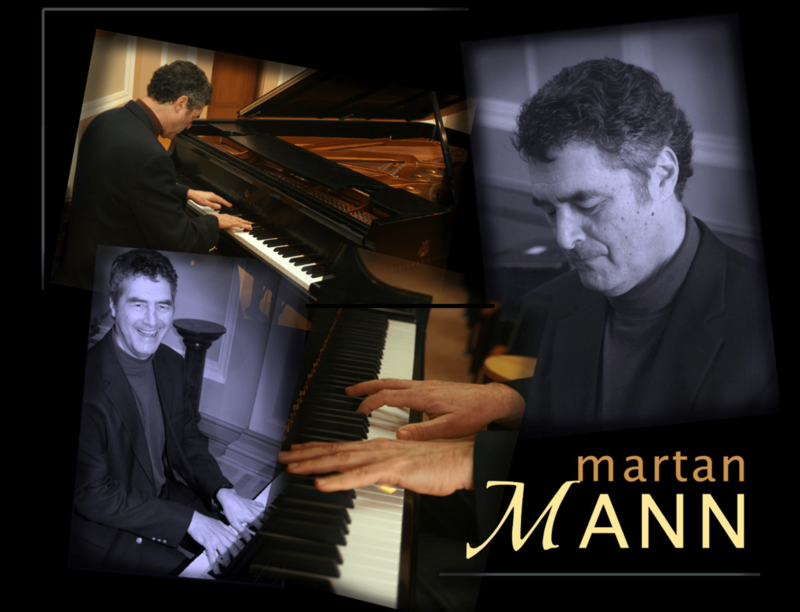 Martan is also a sought-after accompanist for many jazz vocalists. *Current activities include: JazzSkills for Piano (Online Jazz Piano Course), Clazzical Jazz Lecture/Performance Series; Developing a new jazz CD with the Martan Mann Trio; developing a concert tour with Martan Mann & Mannkind and the Martan Mann Trio. *Recently musical director of “The Cole Porter Revue” and “Gershwin,Gershwin” at the Capitola Theater in Capitola, CA. Musical director for “How to handle a woman” at the Vault in Hollister. Currently “house pianist” for the Jazz Society of Santa Cruz weekly jam session at Bocci’s Cellar in Santa Cruz. *Currently teaching privately at his home in Boulder Creek, California and at West Valley Music in Mt. View, CA. Also, teaching at the San Jose Jazz Camp and the Buchser Jazz Camp. For two years, has been an adjudicator at the Santa Cruz Jazz Camp. *Currently on the board of directors for the Jazz Society of Santa Cruz. Recently on the Board of Directors for the Steinway Society The Bay Area. Author of three internationally published books on jazz improvisation, including: “Jazz Improvisation for the Classical Pianist”, “New Age Improvisation for the Classical Pianist’, and “Improvising Blues Piano”. *Studied music and business at San Francisco State University; Hawaii Pacific College; University of Hawaii. *Private piano teachers: Wilbert Baranco; Frederic Saatman; Don Haas; Mark Levine; Art Lande and Kenny Werner.